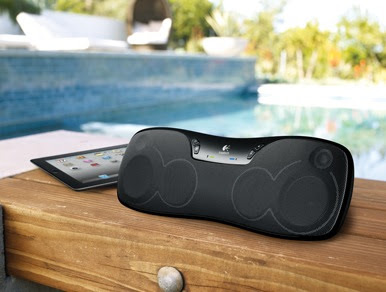 In addition to Bluetooth Wireless Headset, Logitech also introduced a wireless speaker for the iPad. 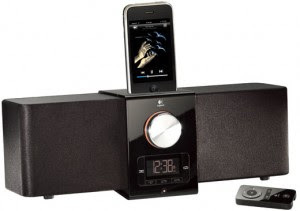 These speakers use Bluetooth Technology, the speakers can be placed anywhere you want and can connect wirelessly to your iPad. In fact, the Logitech Wireless Speakers can also work with the tablets, smartphones, music players, PMPs iPad non other via Bluetooth A2DP. 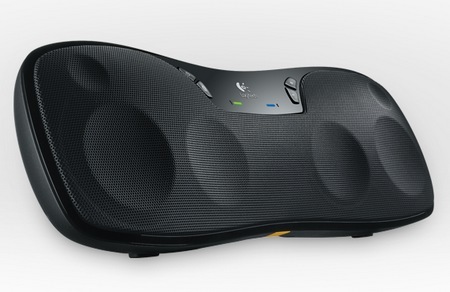 Logitech Wireless Speakers features for the dual 2-inch drivers that can play stereo sound with bass. Can last up to 10 hours using an internal battery that is also capable of re-filled. 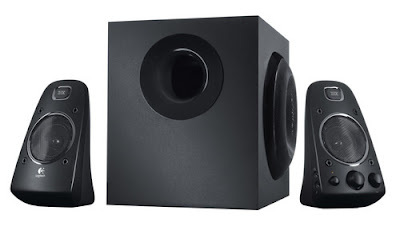 There is a standard 3.5mm AUX input for the use of other audio sources. Travel case included. 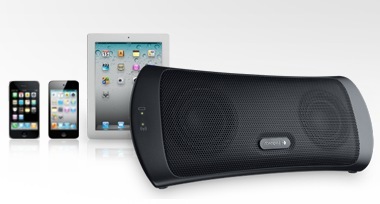 Logitech Wireless Speakers for iPad sold for $ 99.99 or 850 thousand dollars. Logitech Wireless Headset issued new iPad wirelessly. 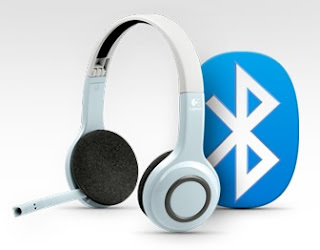 In fact, this headset can work not only with the iPad but also the iPhone, iPod touch and other Bluetooth devices. The headset offers up to 10 meters wireless range. This range is quite satisfactory. Wireless Headset supports laser-tuned drivers to produce rich stereo sound while minimizing distortion, and noise-canceling microphone that reduces background noise. The headset has a headband and ear cups arranged a soft soft for comfortable use. And the headset can be folded up and you can position the microphone as you want and rotate it so it is hidden in the headband when you listen to music or watching movies. Rechargeable batteries last up to 6 hours of use. Long enough for you who like listening to music, or just for your bedtime every day. Logitech Wireless Headset for iPad price $ 69.99. 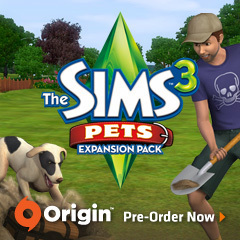 The Sims 3: Pets. EA Games released the news that this expansion will be released in October this year for the PC platform, while for the console Xbox 360, PlayStation 3, Nintendo 3DS, in the form of standalone game. Ekspansion At this time, developers have added a new addition to pet dogs and cats, horses. 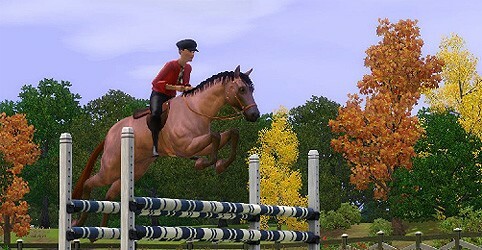 But unfortunately this is only present horses for PC only. Such as creating Sims characters, you are given creative freedom to make their own pet by using the customization features are very comprehensive. Starting from the establishment, until the election on fur patterns and colors desired. Then you can change the shape of the ears, tail, mouth, eyes, and so on. You can also specify the behavior of our pets, whether active, lazy, brave, shy, friendly, fierce, gentle, and so forth, as in the manufacture of Sims characters. 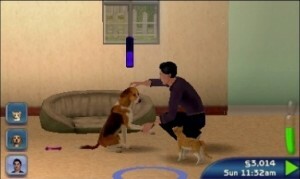 In The Sims 3: Pets also allows players to control their pets to interact with other animals. They are now also able to perform the movement more than its predecessor, such as multiplying the hole, playing dead, clawing the couch, biting slippers, all presented in a more smooth animation and life. Even your pet can make a baby of two different types. Because this game will provide 100 kinds of dogs and cats, of which there is a Dalmatian dog. Your pet can also have a job, like being a police dog. They also can grow and grow old and lives Sims characters. Then you are allowed to be exchanged with neighbors pets as well. If the RPG game has a quest that must be resolved, then ekspansion The Sims 3: Pets, pets also have a goal to be achieved by us are called to the Journal of Mysteries. With the opening of this journal will display a list of goals that must be resolved and that has been resolved. And to finish it should be with our pets. For the Xbox360 console versions get an exclusive feature where gamers can use Xbox 360 Kinect motion sensors and voice command functions that can be used in the customization menu and interact with their pets, as told to eat, use the toilet, and so on. As for Nintendo 3DS version allows players to exchange pets with other players through the Pass Road features. Sims life seem more alive and interesting with pets. 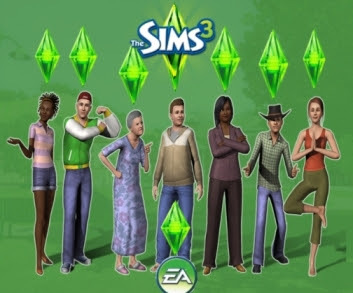 The Sims 3 is the famous game of life simulation game that has been long awaited by gamers around the world will show the graph as it needs minimal computer system that can play this game well. 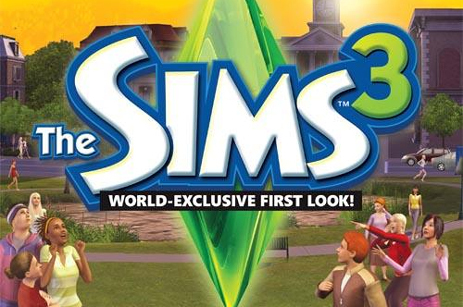 Minimum Hardware Requirements for playing The Sims 3 that will surprise the game lovers across the world have been announced through the website. Variants such as the ATI Xpress chipset and integrated NVIDIA TurboCache with low levels of regulation will run satisfactorily. Please note that the use of video hardware that is not listed as above can not run properly. Series NVIDIA GeForce FX series not supported in Vista. The Sims 3 is for you adventure, with interesting real world because that theme of this game is as daily activities, like most people, eating, school, work, etc. And with this game you can design your dream home. NPD Group recently reported statistics video game sales of personal computers in the United States which was published yesterday. From the results of the study itself shows that The Sims 3 Maxis made ​​more selling of the game World of Warcraft: Wrath of the Lich King. The result is quite surprising, but World of Warcraft MMO games including the world's largest producer of the game, fans of the game too much. While the PC video experience shrinkage of 23% in 2009 and 11% of the console gaming market. Of course, digital sales are not calculated from statistical tables and services like Steam, Impulse, GamersGate, Direct2Drive and Good Old Games really showed sales of PC games will continue to fall. The original version of World of Warcraft itself is ranked only sixth place. Position followed by Spore, Dragon Age: Origins, BioWare, Empire. Facebook game lovers seem to be very happy, especially for lovers of the game facebook. 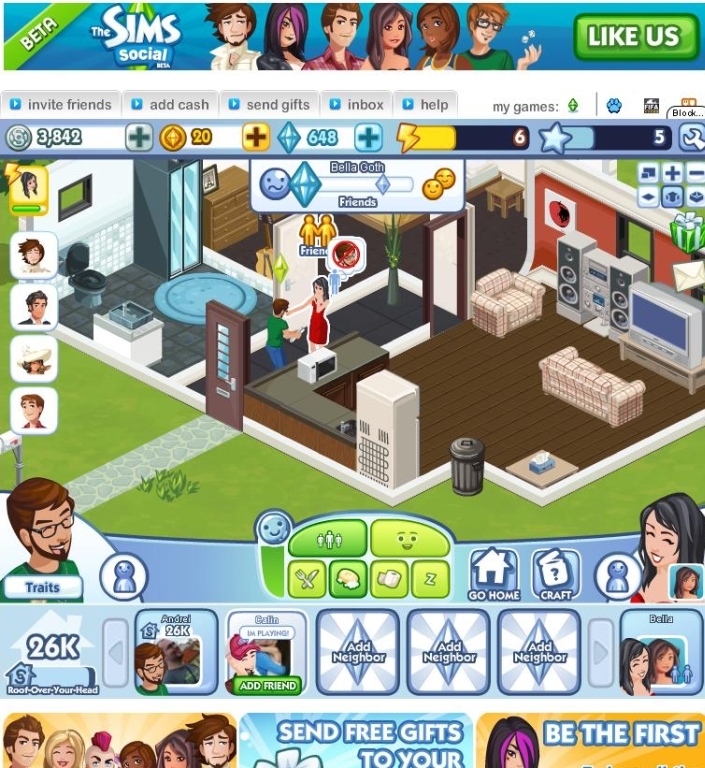 Because of The Sims will launch Facebook games, which although still experimental, but for those who want to try it. Perhaps for those who love playing games, probably are familiar with the name of this application. And they can make their avatar as an identity profile, and the variation was quite a lot. Avatars are used fatherly-gamers to socialize with other gamers. And we can have a meeting with other characters, repairing houses, learn some skills and earn money. Revenue is able to meet all needs, in different percentages, to get clothes, goods, furniture, energy and other resources. To make the game more fun, you need a friend at least 5-10 people who can play with you. obviouslya game we are getting crowded. Facebook game lovers seem to be very happy, especially for lovers of the game facebook. 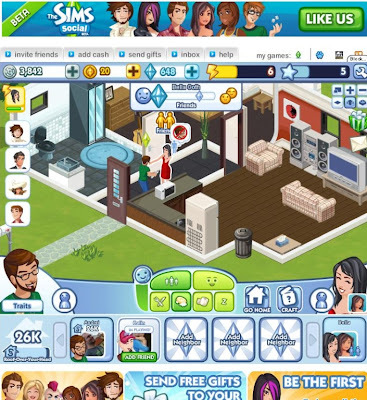 Because of The Sims will from launch Facebook games, the which although still experimental, but for Those WHO want to try it. Perhaps for those who love playing games, Probably are familiar with the name of this application. And They Make Their avatars can as an identity profile, and the variation was quite a lot. For Linux lovers rejoice because Linux 3.0 has been released by the founder of Linux, Linus Torvalds through a google account + hers. In the latest operating system that can be used free of charge, there are some differences compared to previous versions. The first difference is especially striking is the linux kernel numbering system, which is the core of the open source operating system GNU / Linux. If a previous version using three numbers, they are currently only using two digits only. Instead of using the name Linux 2.6.40, Torvalds would rather figure 3.0. Torvalds said the replacement of kernel number will not be a problem. "The bottom line numbering only 3.0 back, we did not do anything about KDE or Gnome, 4-3 here," said Torvalds. But some parties see that the kernel re-numbering numbers may give problems. Many of the previous kernel package tracking by looking for the latest linux version '2 .6 '. So that this problem can be solved, then the need for reform. In response, Torvalds said that it was not a problem. "As I mentioned a few times, there are no special features or discrepancies related to the version number changes," wrote Torvalds. According to him, criticism is a way to lower the prestige of Linux that are currently on-year to 20. In addition to a different numbering system kernel, Linux 3.0 adds a backend storage for Xen Hypervisor, renewal Btrfs file system, and fixes a number of drivers for various graphics processors. 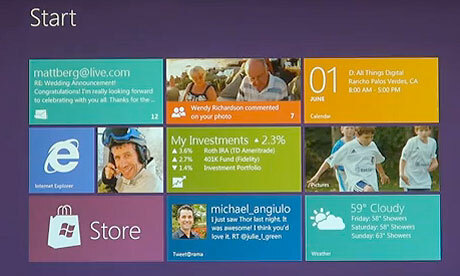 It's very interesting to use this operating system, because no less than other operating systems. Sometimes it is difficult to use this operating system, but as long as there will definitely did it. For those of you who want to get acquainted with this operating system, there is an alternative for you. 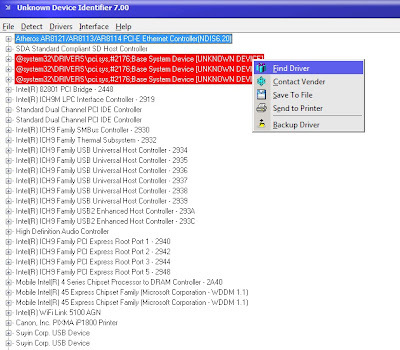 By creating two boot on your computer devices. Thus you can menggunalkan operating system for your daily activities, and if any spare time you can try more familiar with this free operating system. New month Research in Motion released the BlackBerry OS based phones 7. Now they are ready to equip it with latest designs BlackBerry App World. Which certainly can satisfy consumer goods. Which is currently very popular indeed based OS such Blacberry 7. RIM plans to launch BlackBerry App World version 3.0 on the near-near future. 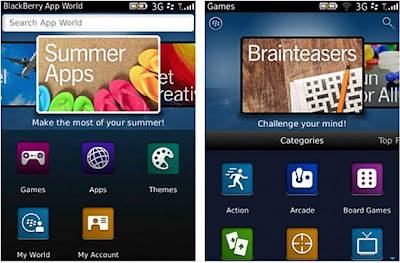 They said the latest version of the BlackBerry App World offers a variety of features that can speed up access to the themes, applications, and games you want. 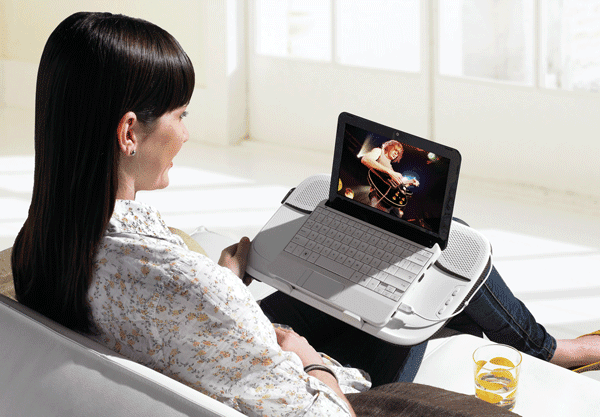 RIM seeks to satisfy its customers by always issuing new designs that deserve to be a consumer choice. Another feature that was added by RIM is a folder storage facility that can store all the downloaded files in one folder on the homescreen. With this feature, blackberry mobile phone owners can easily remove or add applications. It created this feature to allow users in pengoprasian goods. Not just technologically sophisticated, but in any case the use is of considerable concern. In addition, there is also music that also launched the BlackBerry in the event. It is dedicated to music lovers around the world. As reported by Reuters, which says that the BlackBerry will be launched in early music soon. But certainly, now RIM has been completed, the new phones, new OS, and application of new stores. 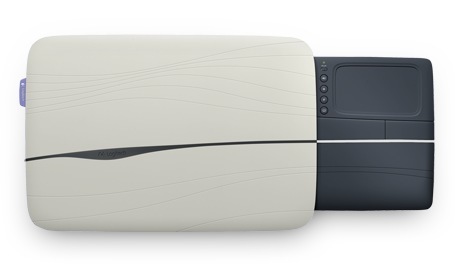 Seagate has just announced its GoFlex 4TB external hard drive (7200rpm). This capacity is large enough to store 2000 HD movies, and music storage space that truly exceeds the amount owned by people in general. Incidentally, this is also the launch of a new design for the entire range of product linesGoFlex. The design has been optimized for space but still retains all the advantagesinherent in the design GoFlex. 1TB to 3TB version is also still there. 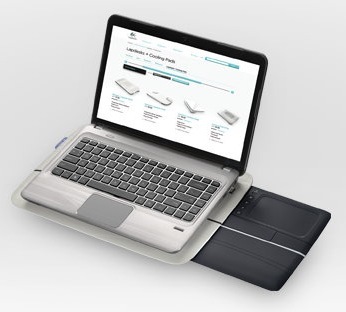 The idea behindGoFlex is that no matter how computer connectivity to grow, there is always the option toconnect with the fastest and latest standards: USB 2.0, USB 3.0, FireWire 800 is one of the connection types supported today (choose between 3 or USB2 USB + Firewire), butThunderbolt is still in the planning of Seagate. GoFlex This new version will come in Mac and PC, and Mac versions will have aFireWire 800 port as well. Another difference is that drives the Mac will come pre-formatted for Mac. If you want to use it on your PC, you can still reformat. 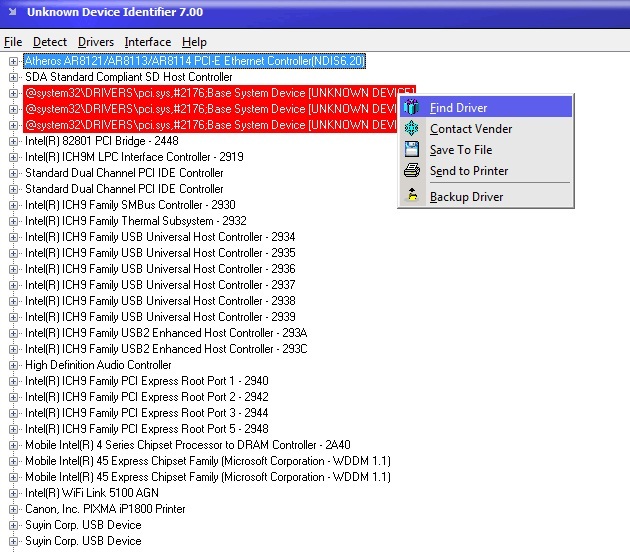 All GoFlexSeagate drives come with backup software and utilities that interesting. Interestingly, 4TB Seagate GoFlex retail price is $ 249. Today, you can get GoFlex 3TB(previous generation) at a price of $ 130 on the web. Do you have something important? and do not want anyone to see. Perhaps animportant office data, or something personal that does not want others to see. Maybe of you who feel confused about how to memprivasi thing. Maybe someone put it in CDs orDVDs. But for some people it is too complicated, and for those of you who needsomething quickly, for example you need something on your time in front of a laptop or PC, and you need not bother to look for it in advance. Now there are alternatives for those of you who want it, simply use the software, and you need was fulfilled. Your data will be stored properly on your laptop or PC. Because you can protect your privacy witha password that only you who knows the password. 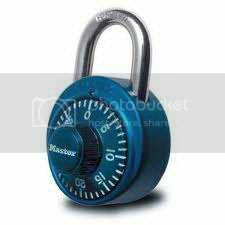 Its use is very easy, just create a password that you will make a key to unlock your privacy with my lock box software is. Have you ever reinstall a laptop or PC? Technology is growing, people want something even more practical. For those of youwho are busy, would prefer something practical-practical.